Michael P Sandonato is an experienced trial lawyer who has served as lead trial counsel in patent litigations in district courts across the country, the US International Trade Commission (ITC) and arbitrations. He has been praised by clients as a ‘terrific’ lawyer (Chambers 2016) who is “extremely smart and client-focused” (Best Lawyers 2015) and who “always proposes thoughtful and creative strategies” (Legal 500 2012). Mr Sandonato is equally adept at representing both patent owners and accused infringers, and has an established reputation as a ‘winner’ who “puts his clients’ needs first” (Best Lawyers 2015). As one client said, “in my 15 years of working with Mike, I and our executive team have been impressed by the professionalism, legal acumen, attitude and client-focused approach to his work” (Managing Intellectual Property IP Stars, 2015). Mr Sandonato’s litigation work has involved technologies such as digital cameras, dental imaging systems, graphical user interfaces, laser toner cartridges, digital music management software, smartphones, financial products and electronic test equipment. Mr Sandonato has lectured on patent law at conferences worldwide, and has spoken on panels alongside the chief judge of the Court of Appeals for the Federal Circuit and the chief administrative law judge of the ITC, as well as judges from the Japanese IP High Court and the IP rights tribunal of the Supreme People’s Court of China. 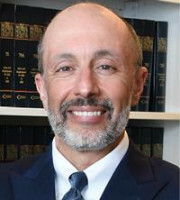 Mr Sandonato chairs Fitzpatrick’s electronic and computer technologies practice group and is a member of the firm’s management committee. Mr Sandonato was lead counsel for Canon in In re Certain Toner Cartridges and Components Thereof (337-TA-918 and 337-TA-829) (2015 and 2013), enforcing patents on its laser toner cartridge technology in the ITC, and in companion cases in US district courts. As a result, Mr Sandonato and his team secured for Canon the rare and powerful remedy of a general exclusion order (GEO) from the ITC on two separate occasions, representing two of only five GEOs issued between 2013 and 2015.